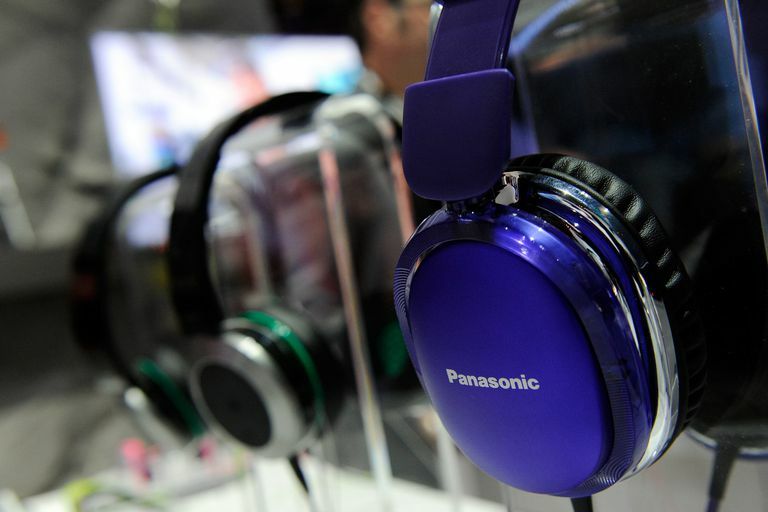 You've probably noticed that there are a lot of noise-canceling headphones on the market now. Unfortunately for the consumer, though, the efficacy of noise-canceling circuitry varies radically from headphone to headphone. A few of them are so effective you might think something's wrong with your ears. But some of them only cancel a few decibels worth of noise. Even worse, some of them add audible hiss, so while they're reducing noise at low frequencies, they're increasing it at high frequencies. Fortunately, measuring noise-canceling function in a headphone is relatively simple. The process involves generating pink noise through a set of speakers, then measuring how much sound gets through the headphone to your ears. The measurement part of it requires basic audio spectrum analyzer software, such as True RTA; a USB microphone interface, such as the Blue Microphones Icicle; and an ear/cheek simulator such as the G.R.A.S 43AG we use, or a headphone measurement mannequin such as the G.R.A.S. KEMAR. You can see the basic setup in the photo above. That's the 43AG at lower left, fitted with a rubber earpiece that represents an earlobe typical of larger people, i.e., American and European males. Earpieces are available in a variety of sizes and different durometers. Generating the test signals is actually a little tougher if you go by the book. The IEC 60268-7 headphone measurement standard dictates that the sound source for this test should be eight speakers positioned in the corners of the room, each playing an uncorrelated noise source. Uncorrelated means that each speaker gets its own random noise signal, so none of the signals are the same. For this example, the setup involved two Genelec HT205 powered speakers in opposite corners of my office/lab, each one firing into the corner to better disperse its sound. The two speakers receive uncorrelated noise signals. A Sunfire TS-SJ8 subwoofer in one corner adds some bass. You can see the setup in the diagram above. The small squares firing into the corners are the Genelecs, the large rectangle at lower right is the Sunfire sub, and the brown rectangle is the test bench where we do the measurements. Next, place the headphone on the ear/cheek simulator. The bottom of our test bench is fitted with wood blocks so that the distance from the top plate of the 43AG to the bottom of the wood blocks is exactly the same as the dimensions of a head at the ears. (It's about 7 inches.) This maintains ​the appropriate pressure of the headphone against the ear/cheek simulator. Per IEC 60268-7, we set TrueRTA for 1/3-octave smoothing and set it to average 12 different samples. Still, though, like any measurement involving noise, it's impossible to get it 100% precise because noise is random. This chart shows the result of a measurement of the Phiaton Chord MC 530 noise-canceling headphone. The cyan line is the baseline, what the ear/cheek simulator "hears" when there's no headphone there. The green line is the result with noise-canceling switched off. The purple line is the result with noise-canceling switched on. Note that the noise-canceling circuitry has its strongest effect between 70 and 500 Hz. This is typical, and it's a good thing because that's the band in which the droning engine noise inside an airliner cabin resides. Note also that the noise-canceling circuitry can actually increase the noise level at high frequencies, as we see in this chart where the noise is higher between 1 and 2.5 kHz with noise-canceling on. But the test isn't finished until it's confirmed it by ear. To do this, we use our stereo system to play a recording we made of sound inside an airliner cabin. we made our recording in one of the rear seats of an MD-80 jet, one of the oldest and noisiest types currently in commercial service in the U.S. Then we see -- or hear -- how good of a job the headphone can do in reducing not only the jet noise, but the noise of announcements and other passengers. We've been doing this measurement for a couple of years now, and the correlation between the measurement and the actual noise-canceling performance we've experienced on planes and buses is excellent with over-ear and on-ear headphones. The measurement isn't quite as good with in-ear headphones because with those we usually have to remove the cheek plate from the simulator and use a G.R.A.S. RA0045 coupler for the measurement. Thus, some of the occluding (blockage) effect of large in-ear models is lost. But it's still an excellent indicator of how well the noise-canceling circuitry itself works. Note that like every audio measurement, this one's not perfect. Although the subwoofer's placed as far away as possible from the test bench, the test bench is placed on felt feet, and the ear/cheek simulator has compliant rubber feet, at least some bass vibration sneaks directly into the microphone through physical conduction. We've tried to improve this by adding more padding under the simulator, but to no avail, probably because the vibrations in the air also impart some sound into the body of the simulator.